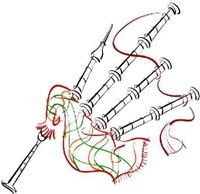 Highlight your special event with bagpipes! I have been a piper for 50 years, and have been a professional for 40 years, competing on the solo platform and with Grade 1 bands. I have also competed at the World Pipe Bands Championship many times. My experience is as an International competitor, judge and instructor of individuals and bands and I just recently retired from being the head instructor of the White Spot Pipe Band for 25 years. Please listen to some of the samples of me playing certain tunes. For any more information do not hesitate to send me an email at gsdpiper@gmail.com or call me at 778-554-8388. If I am unable to perform at your event I will gladly direct you towards other qualified players. If you require an invoice I will gladly supply as well. I have been teaching individual students of all ages and levels for 35 years. I have taught beginners and professionals. It’s never too late to learn to play the bagpipes. I now live locally in the mid-Island area, (Nanaimo, Lantzville, Parksville.) and available anytime during the day or evening for lessons. Please feel free to call me to discuss your piping goals. Additionally, if you need a piper for an occasion anywhere in North America, I can tap into my vast contact list for you. Enjoy looking around my site!